We know that you have many options when it comes to dealerships to purchase your new vehicle from, and we just wanted to point out some of the benefits that Century Mt Airy provides to all of our customers. We have been a fixture in our community for 20 years and we have created a family atmosphere with our customers which is why they continually come to Century Mt Airy for all of their vehicle needs. We have a Certified Service Department with Certified Master Service Technicians and Certified Master Technicians specializing in diesel engines. Most importantly, Century Mt Airy’s primary focus is Customer Service and Satisfaction and it is our mission to make sure that each and every one of our customers is completely satisfied with the service they receive. Not only would we like to earn your business, but we would like to make you a customer for life! 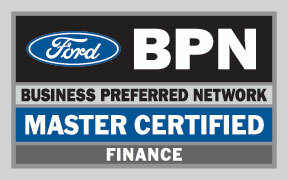 Our commercial truck staff is committed to leveraging our years of experience to be your commercial vehicle partner. From sales and customization, to service, we are with you. 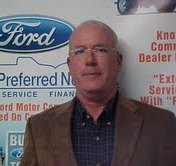 Century Ford welcomed Mike back to our organization in February. Mike started with Century in Feb. 1980, when the doors of Century Rockville first opened. Trucks immediately became his specialty after recognizing how underserved the average truck customer was, especially the commercial customer. Mike is well known in the Ford Commercial arena. With over 30 years experience Mike is noted as the most knowledgable Ford commercial truck builder in the Baltimore-Washington area. Mike, over the years has developed a strong relationship with Ford Motor Company at the district and national levels, earning awards too numerous to list. With expert knowledge of Ford trucks and truck body building, combined with his problem solving skills at the end user level, he is simply the best of the best available to the commercial customer, before and after the sale. 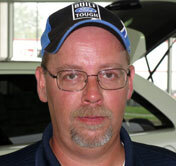 Mike experience includes many years of service at Koons Ford of Annapolis. And through the years has been a full time 'racing Dad' to his son Will. Helping Will from racing carts, sprints, legends cars, and now late models at the bottom rungs of the NASCAR ladder at 16 years old... hoping to 'land' a ride with a good team. We welcome all of Mike's previous customers to stop by and pay him a visit, or give him a call at 410-320-1369. We welcome all of our current customers to take advantage of his problem solving skills as well. John has been with Century selling commercial trucks for 6 years. Prior to Century, John spent 18 years with Reading Truck Bodies in Mt. Airy, Maryland. John grew up in Manchester, MD and now resides in Westminster with his wife of 22 years, Amy, their two daughters, and his new grandson. We love to hear from you! Please don't hesitate to let us know how we can help.